Clay cutters for beginners to professionals. 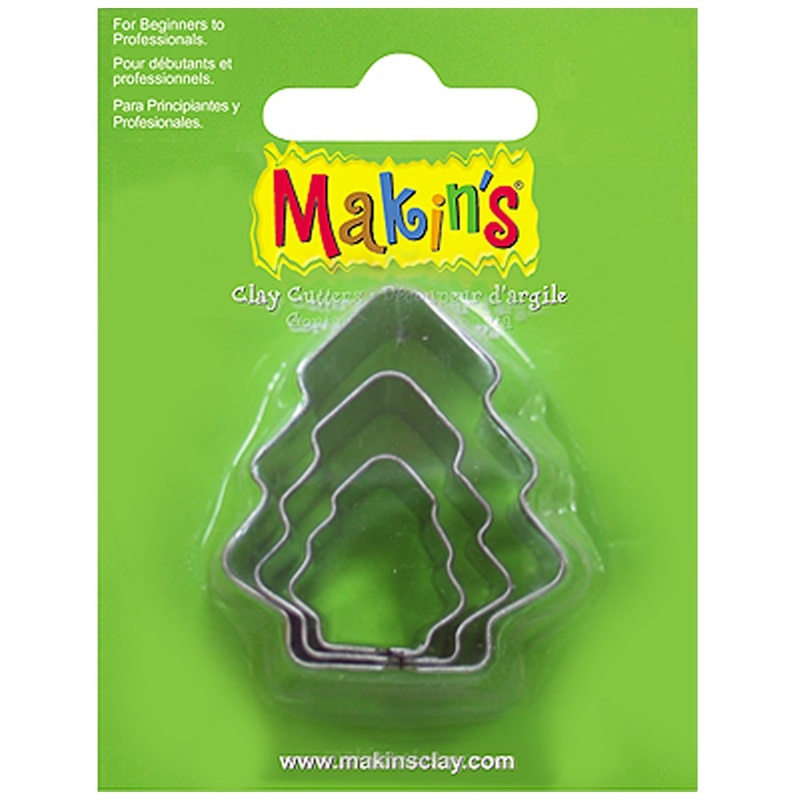 Makin's Clay Cutters, Set of 3 different sized metal cutters. 3 Cutters with sizes from approx 2 - 4 cm Suitable for various craft uses e.g. Clay, Fimo, Friendly Plastic Also suitable as miniature cookie cutters/sugarcraft. A bit about the brand: Makin's manufacture and provide a great range of clay and craft tools. From clay extruders to cookie cutters of all shapes and sizes, you're sure to find something that will help you in your modelling project.